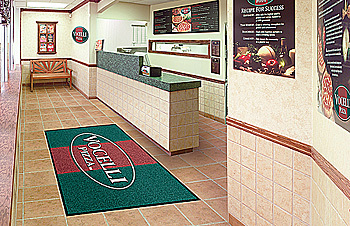 If you are looking for information on the Vocelli Pizza franchise business opportunity, Vocelli Pizza franchises or Vocelli Pizza franchising, then you have come to the right place. Voted #1 Best Pizza in Pittsburgh: Vocelli Pizza has been voted #1 in our home market by the readers of Pittsburgh Magazine - 4 Years Running! System-Wide Call Centers: Our call center takes the orders for you! Every day, all day. We handle customer complaints and follow up on new orders to retain and build your customer base. 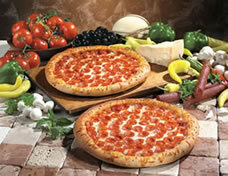 Classic Italian Quality - Our menu "Delivers Italy": Pizza - Gourmet Pizza - Salads - Stromboli - Subs - Panini - Bruschetta - Wings - Bread Sticks - Desserts. Not just anyone can do what we do. That's why before you can open your own Vocelli Pizza, a comprehensive three-week management-training program is required. This program consists of classroom and in-store training that is held at the Vocelli Pizza Corporate Training Center, located in Pittsburgh, PA. There will also be a training team sent to your new store to assist in training your staff during the store's grand opening. Upon successful completion of your training and store opening, we will visit your new location to evaluate your progress, support your efforts, and consult with you on a regular basis. 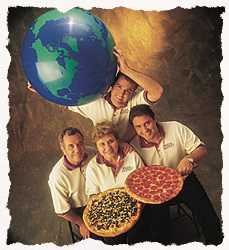 We make our stores as affordable as our pizzas, provide the buying power of over 100 locations and provide the proven support of one of pizza's fastest growing franchise systems.